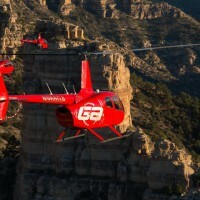 The First FAA Approved Part 141 High Altitude Helicopter Pilot School, VA Approve. 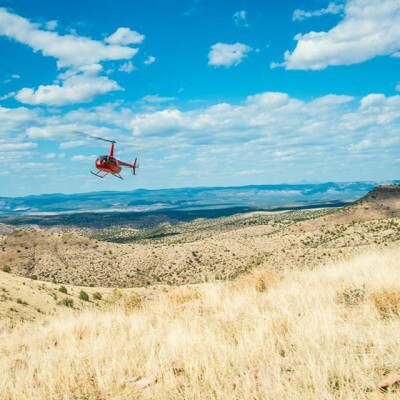 The Prescott, Arizona operation is located at an altitude of 5,045´ feet above sea level and surrounded by mountain ranges. This means from takeoff to landing, you are training in a high altitude, mountainous environment, developing the skills necessary for your first job and wherever your career takes you. Through our partnership with Yavapai College, student pilots can earn their Associate of Applied Science (AAS), Aviation Technology degree. 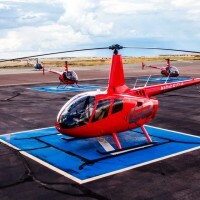 This program provides graduate helicopter pilots with the necessary skills and Federal Aviation Administration flight certificates to gain employment as a professional in the rotorcraft industry. Scenario-based training with realism and no risk. Our program uses the X-Copter simulator and sets the standard for professionalism and safety. Complex emergencies and systems failures cannot be executed in actual aircraft for obvious reasons. 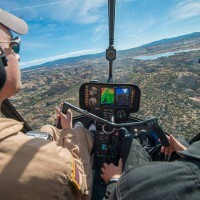 In the X-Copter however, emergency scenarios can be practiced spontaneously in a risk-free environment. Instructors may trigger various system malfunctions-like engine failures- and challenging flight environments-like IFR conditions-at any time, incorporating the crucial element of surprise into a student´s training. The ability to train scenarios in both VFR (Visual Flight Rules) and IFR (Instrument Flight Rules) flight environments increases pass rates, safety, and student retention. Our integrated ground and flight school means you´ll be in the cockpit quickly. Want to know more? Fill out the contact form and get started! Guidance Aviation --> Training to a HIGHER STANDARD. 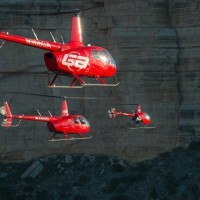 Be the first to review Guidance Aviation!